I was pleasantly surprised by the friendly welcome! 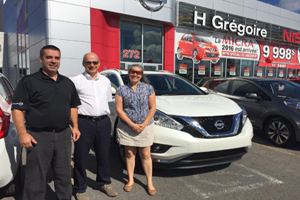 I had never had such a lovely experience in 20 years as a Nissan customer. The whole team listens to their customers and takes their needs into account, while being very respectful. No pressure, no bad surprises. The whole process was well explained, in a calm atmosphere, and without pressure. A very good team that puts their customers first! They were listening to our needs. I’m really happy with my purchase! I have been well advised. 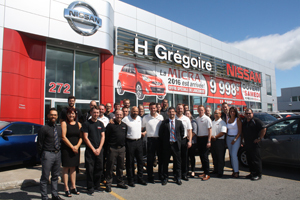 My experience at HGregoire Nissan was excellent. As a consumer, I also went to see another Nissan dealer in the region and my experience was very disappointing there. Here, I felt respect and attentiveness to my needs. Congratulations! My sales consultant fulfilled all my needs. He was very polite and explained the vehicle in details to me. 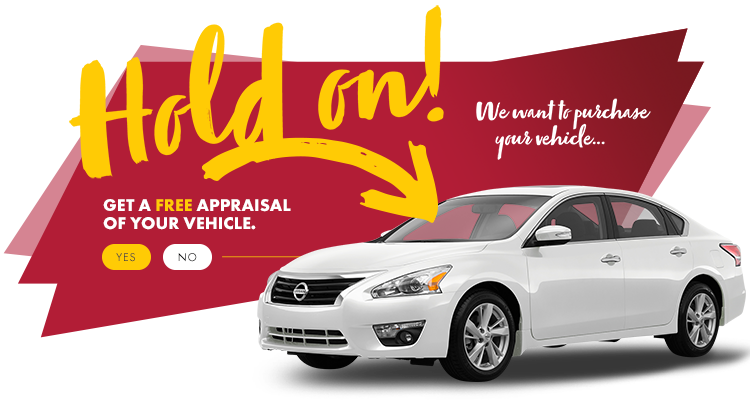 Everything was perfect: the vehicle’s availability and my relationship with the sales consultant. Very professional people! We didn’t feel pressure to buy; we felt comfortable because everything was explained and easy to understand, which gave us a lot of confidence. This isn’t the first Nissan and it will surely not be the last. Thank you! The dealer’s facilities are great and we felt welcomed. Everyone is polite, smiling and courteous. Our salesman and another employee programmed, at our request, our radio stations and telephone. We really appreciated the extra effort! I’ve been a client for a long time and I’m always satisfied with the service! The sales representative was very friendly and joyful. It was a pleasure to have been served by with him! No pressure from him, which was greatly appreciated, and he provided transparent information. Thanks Rick! Great service from Rick and Vince. Thank you to you for the support you have given me to quickly find a Micra! I would say that the dominant personality trait of my salesman, Rick, is his calm and his genuine desire to help us find the right vehicle. What comes right after is his ability to gain the necessary support to get the best for his clients! I appreciated that the staff took the time to listen to me and advise me. My consultant seemed to know a lot about the products and was very professional. I found my salesman very nice and friendly. He knows his product. I am very happy with my purchase and I really don’t regret my choice!